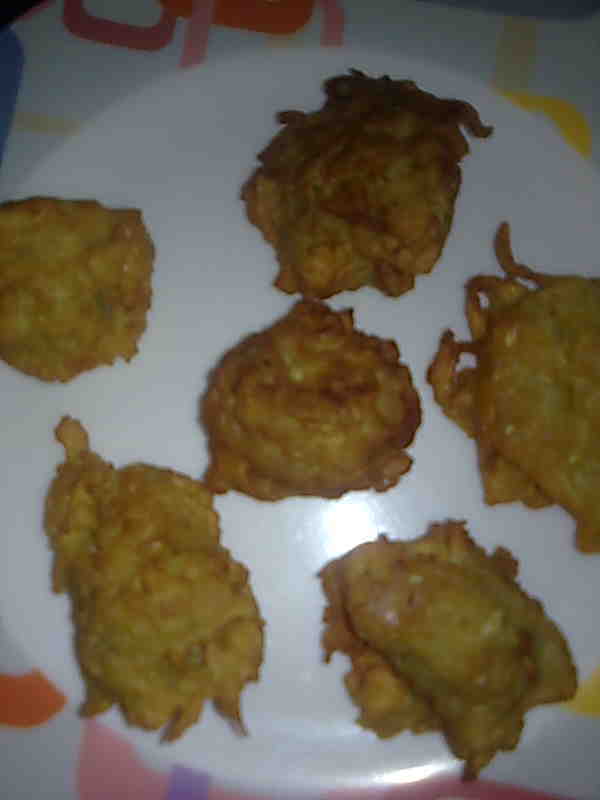 Makki ke pakore was made in my kitchen by chance. When I was in a condition of slight sleep deprivation, my hubby asked for pakoras. Instead of taking besan, I took makki atta and added salt and spices to it. Then I suddenly realized, it was not besan but cornmeal. I decided to go ahead and made pakoras or bhajiyas from it. It was a hit and my hubby asked me to make them again. 1. Take makki ka atta in a bowl and add all the above ingredients to it except oil. Mix. 2. Add water to make a batter of pakora (fritters) batter like consistency. Beat well. 3. Heat oil in a kadhai/wok. Drop small portions of the batter in the oil and deep fry till golden. Fry the pakoras in batches. Drain makki ke pakore on an absorbent paper and serve hot with tomato sauce or chutney.